Drain body coated with PROVA-BOND surface treatment technology for ultimate adhesion to mortar. Pre-bonded PROVA-MAT<sup>®</sup> membrane on drain flange provides quick and easy waterproofing. The Delta MultiChoice Universal Tub and Shower Valve Body Rough-In Kit allows easy changes to shower function, style and appearance without altering the plumbing behind the wall. The trim is sold separately. With a sleek, streamlined style to match contemporary decors, this kit provides a complete handshower assembly including sprayhead, slidebar, and 60-inch metal shower hose. The ergonomic, adjustable multifunction sprayhead provides four distinct sprays, including an all-encompassing spray, an invigorating massage spray, a gentle aerated spray, and a water-conserving reduced-flow spray. Pair this handshower with other Stillness and Purist faucets for a coordinated look. Make the rest of the world simply fade away. This easy-to-install steam generator control unit is compatible with all KOHLER steam generators, offering complete control for your ideal steam experience. Also available in store by special order only see store for details. 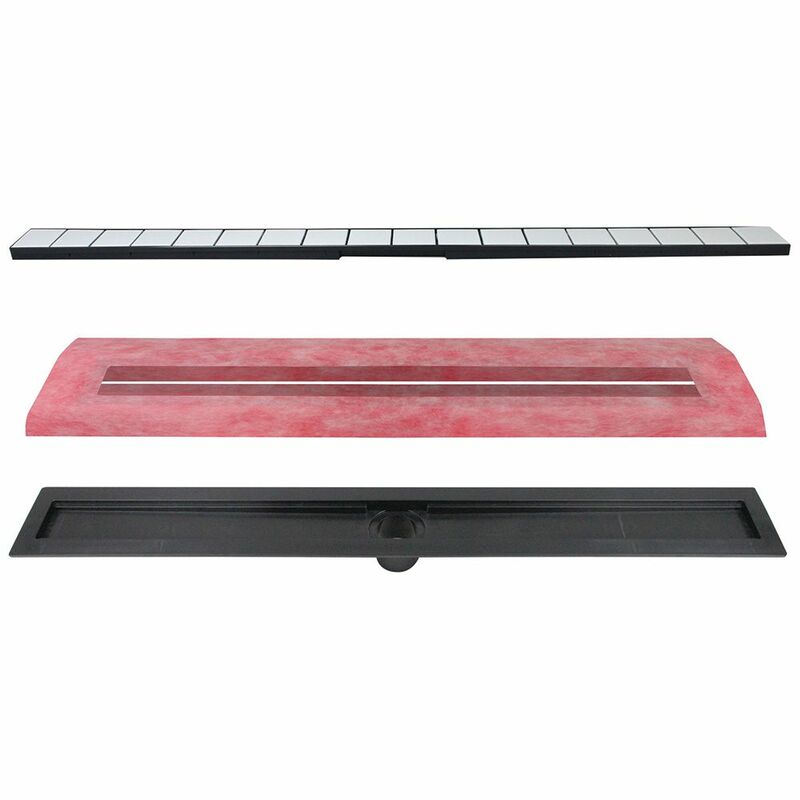 42 Inch Prova Linear Drain Kit - Tile-In Top The PROVA LINEAR<sup></sup> system for tiled showers features a unique modular pan and extension structure that allows for complete versatility when building out any desired shower base size and drain placements.